Last week I wrote about The Great Wall of China, and promised that I’d post about other breathtaking sights we’ve seen on our travels. 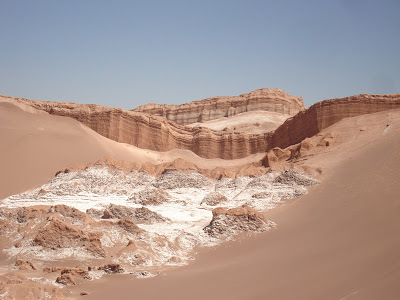 One place that I’ll never forget for its haunting beauty is Chile’s Valle de la Luna, or Moon Valley. 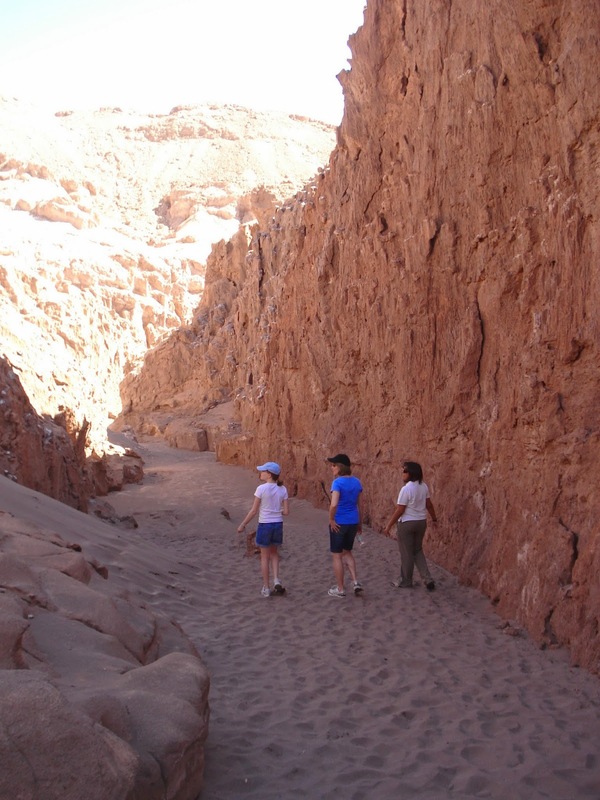 We visited Chile’s Atacama Desert in March 2009, and it was one of the most beautiful and diverse places I’ve ever seen. 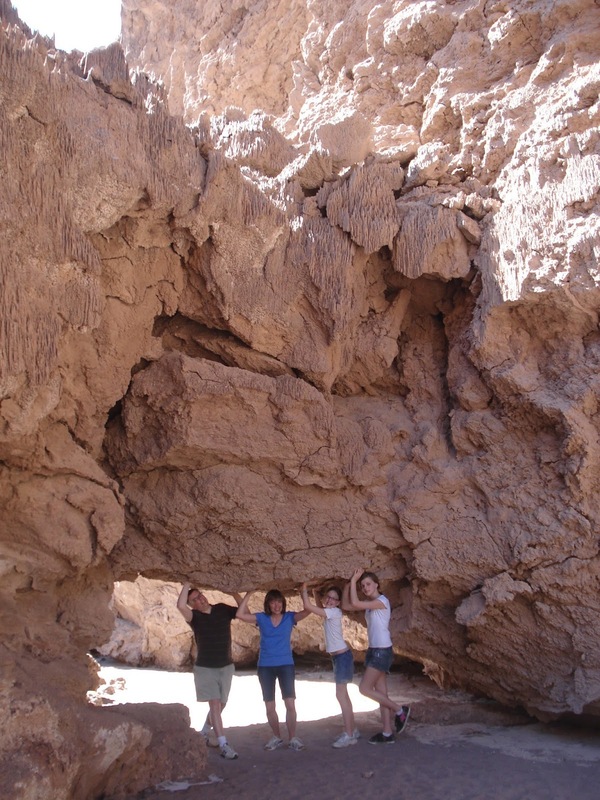 Every day we went on one or two excursions in the San Pedro area, and every day was a new adventure. 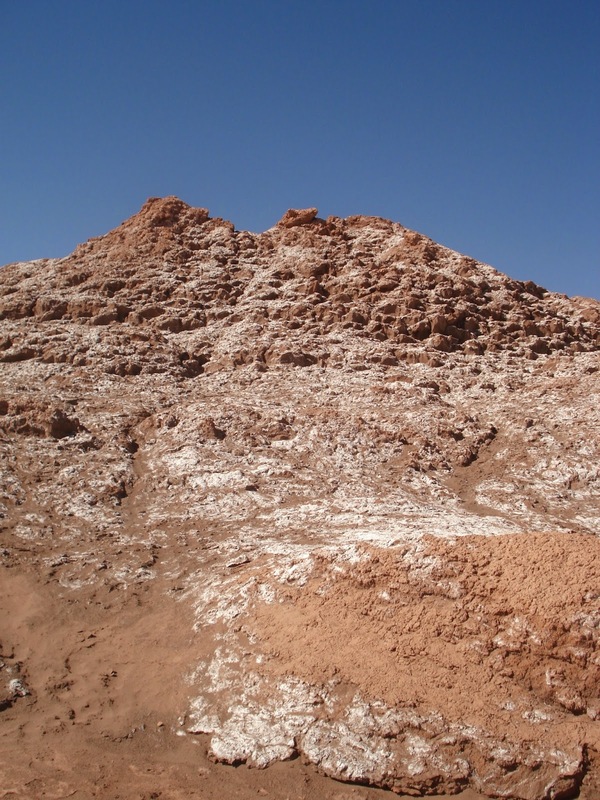 On our first day in the Atacama region, we visited Valle de la Luna. This valley is one of the driest places in the world; some parts haven’t received rainfall in over a hundred years. It’s well named, for the bleak, red landscape seems lunar in its beauty and remoteness. The diversity in this single valley is incredible. Red craggy hills give way to endless stretches of flat sandy plains. Jagged stone outcrops have been carved by the wind over centuries. Salt crystals cling to the stones and, in places, a veil of crystallized salt coats the flats. The desert is ringed by volcanoes, some of which are still active, and in the distance the Andes soar to the sky. This valley, barren and inhospitable to the eye, is actually a sanctuary of serenity. When we visited, we apparently had the miles of desert to ourselves. Something about this solitude made us feel like time had stopped. 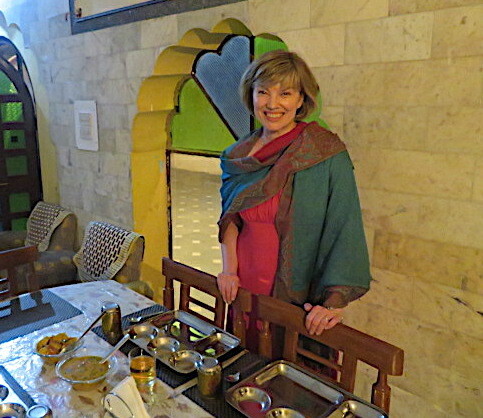 Our guide invited us to close our eyes, and in the silence – no animals, no insects, no other people – we felt like we were wrapped in a cocoon of tranquility. This is really a beautiful landscape. You are so right, it's breathtaking. Stunning photos! Those colors are absolutely stunning!! Good heavens, Beth! Is there anyplace you haven't been? These photos are amazing, so beautiful. 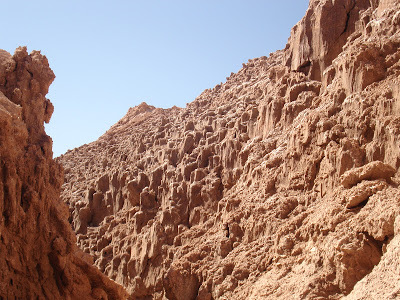 I love the starkness of a desert landscape – it is timeless. I have yet to visit South America… yet being the important word. The photos are breathtaking. Those photos are spectacular! I tried to convince David to go to South America for our honeymoon, to no avail. Chile and Argentina are still on my list. 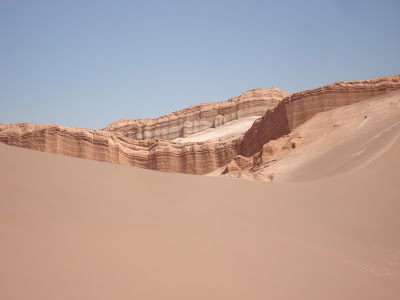 Beth Im do glad you enjoy Valle de la luna and the pictures are stuning! ! Thanks, Gloria! If I'm ever lucky enough to visit Chile again, I'll definitely give you a call! The diversity of places you've visited is outstanding. Another inspiring post Beth. I'm going to close my eyes and imagine myself there right now! Wow. What fantastic panoramic views! That is breathtaking, and it does look tranquil. This is breathtaking!! What an awesome trip. Stunning photos. I've never been there before but it looks like a place I'd love to visit. Thank you for sharing these photos. wow, breath taking photos! thanks for sharing! 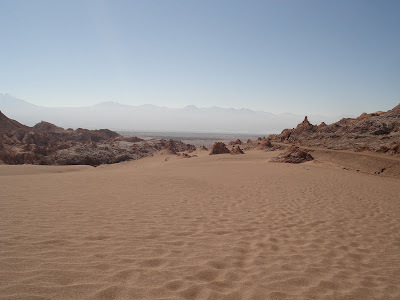 I haven't been to Chile, but I have been to some of the deserts here and have had the same feeling of tranquility and feeling like no one else is around. It's a pretty awesome feeling. Moon Valley looks like a wonderful place to visit. Your photos are beautiful. WOW. It's amazing how something so dry and desolate could be so beautiful at the same time. No rain in some parts for over a hundred years? Amazing! Incredible. I really enjoy hiking in desert landscapes. One more destination is being added to my list of places to visit! Such a beautiful place and a fun adventure! Your photos are gorgeous! Great article, we visited this year and loved it! We wrote about it here for anyone who wants more details!